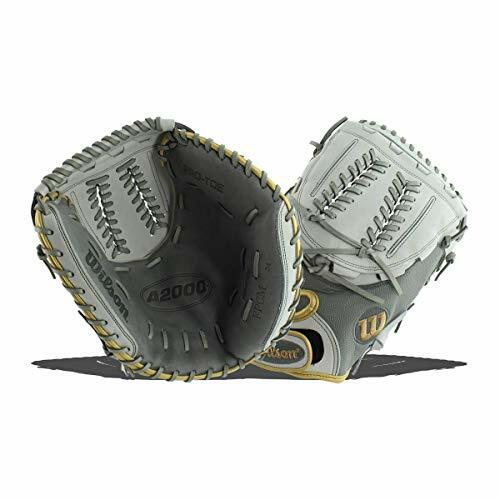 The A360 Slowpitch Softball Glove from the Wilson Slowpitch Series offers an easy break-in and provides players with a versatile option. 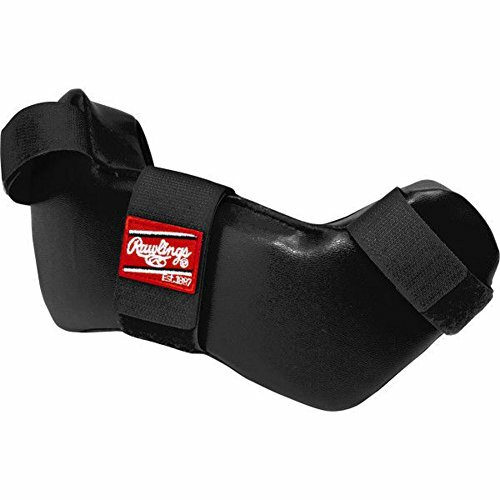 It is made from black Pro Stock steerhide leather for rugged durability and a superior feel. The dual-welting along the backs of the fingers helps maintain the pocket shape and further strengthens the glove's durability. 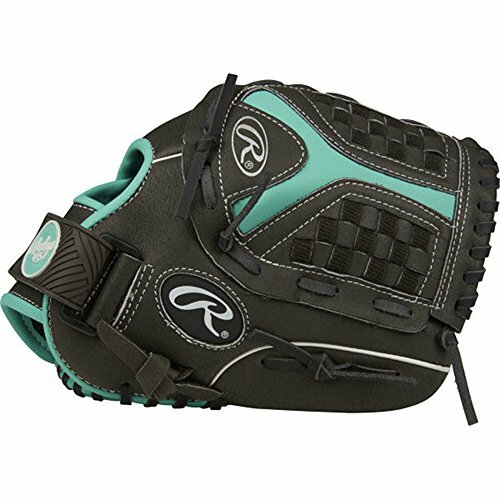 This slowpitch glove's closed V-Lace webbing gives you the ability to play all over the field. 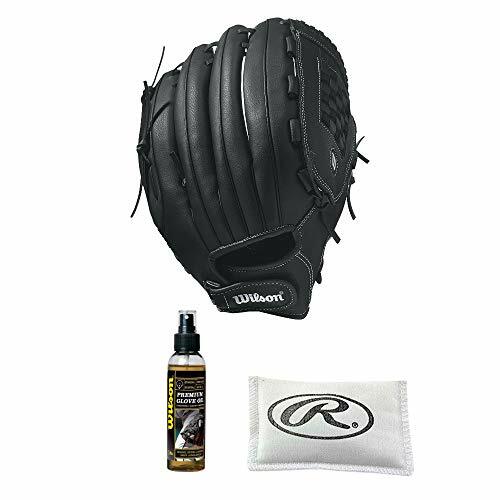 It also features a convenient adjustable hook and loop closure that allows you to adjust the glove's tightness to the right setting. 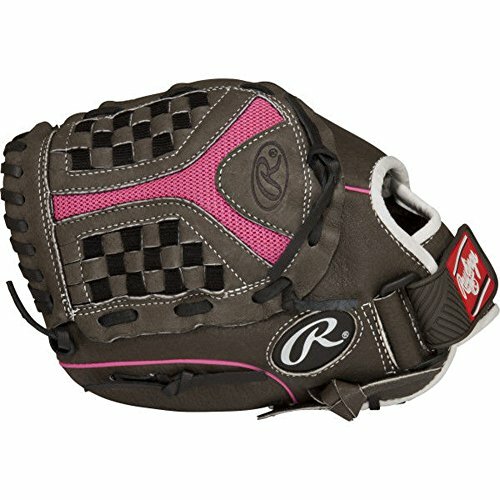 The Rawlings STORM softball Youth glove is a great choice for the young athlete looking to advance. 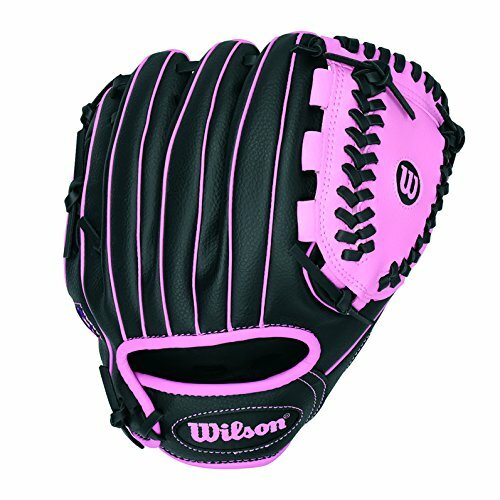 This 11-inch softball glove with a soft, all-leather shell is designed for durability, reliable shape retention, and maximum performance. The all-leather glove has a Funnel web and a sure catch design that make closing the glove easier for young athletes learning mechanics. 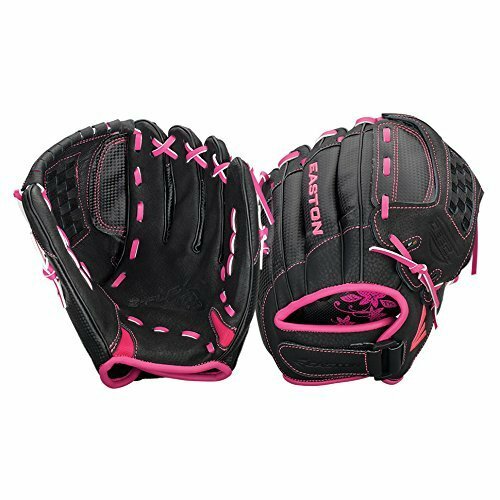 This Youth softball glove includes a neo-flex conventional back and a micro-injection Velcro strap for a custom fit. Palm pads offer added shock resistance, while cushioned finger back lining keeps your hand comfortable in the field. 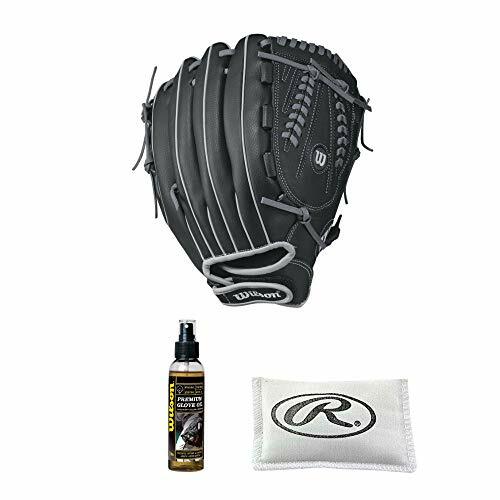 Lightweight and flexible, the Rawlings STORM softball Youth glove comes 100 percent broken-in from the factory, making it instantly ready for game day. 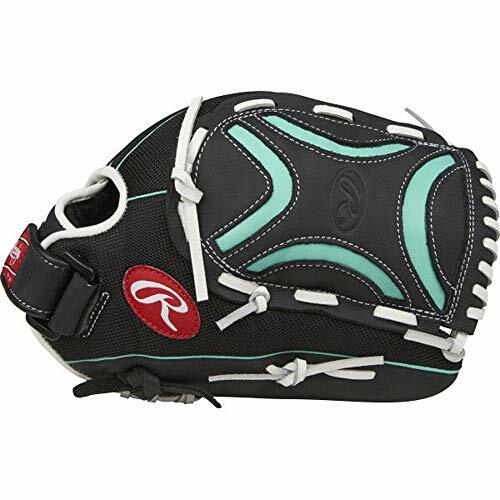 Designed for female athletes, the Rawlings champion Lite softball glove offers a lightweight, flexible design with better glove balance, wider hand spread, and snugger hand openings for greater comfort and control. 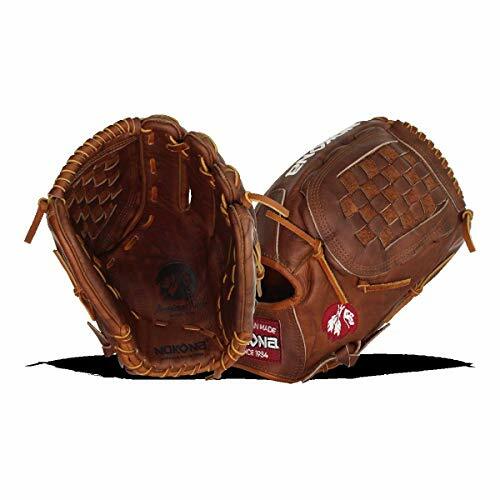 This 12-1/2-inch Girls' softball glove features an all-leather palm with a decorative x web and neo-flex conventional back for improved flexibility and movement. A Velcro strap provides a secure fit, while a zero shock palm pad offers added impact protection. Designed for high-level performance, function, and a comfortable feel, the Rawlings champion Lite softball glove comes 90 percent broken-in from the factory, making it game ready with little-to-no additional conditioning required.